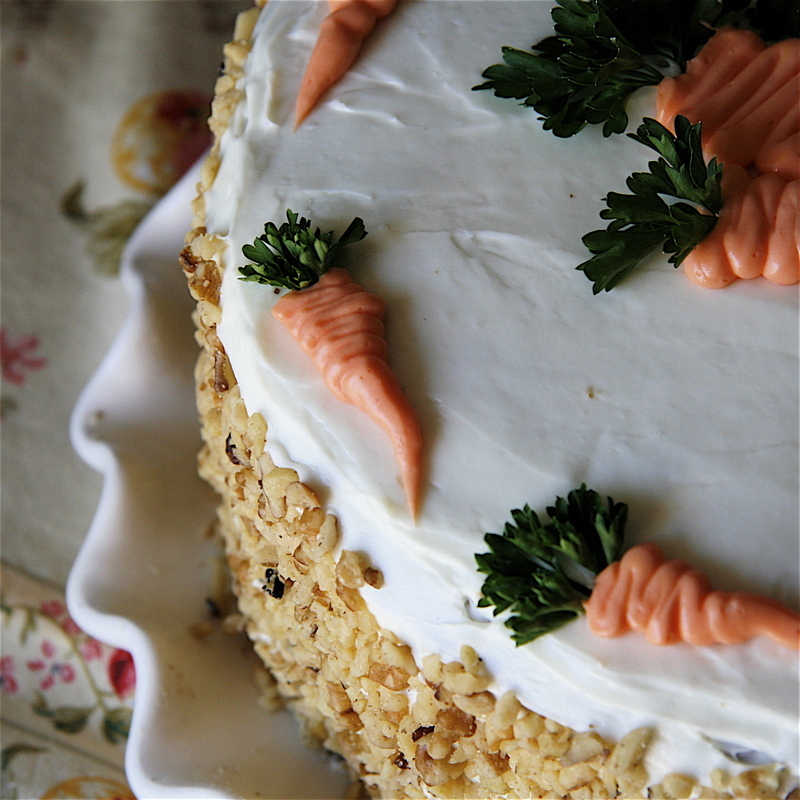 One more Moore: Blog-able Feast Thursday: Carrot Cake! 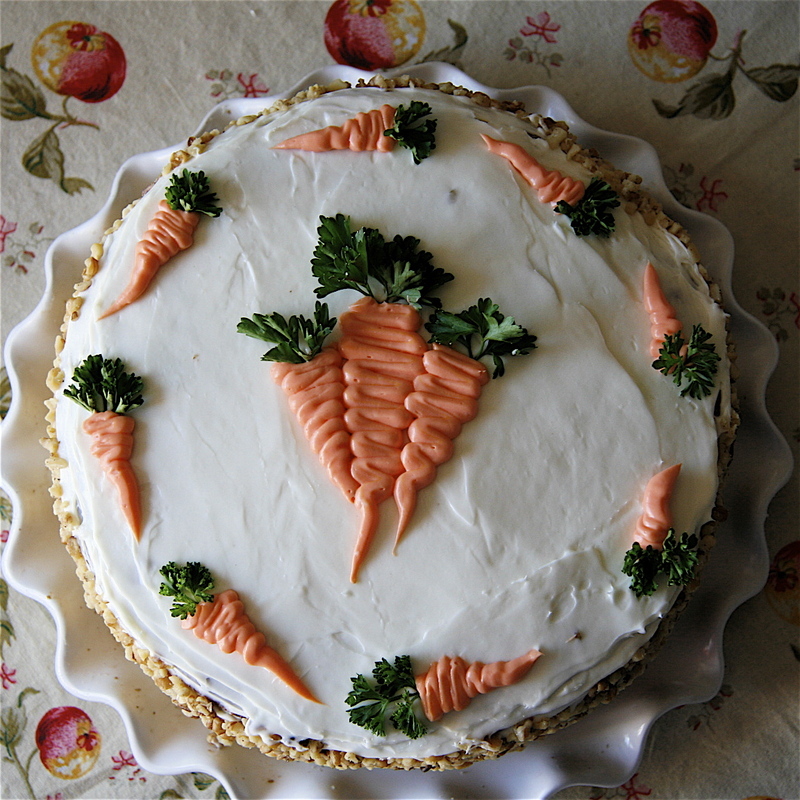 Blog-able Feast Thursday: Carrot Cake! I was so thrilled when Holly asked me to be part of her Blog-able Feast (although I'm quite certain I am the only non-professional-quilter! I'm trying hard not to be intimidated!!) We are starting with desserts, and I'm happy to share one of my favorite Fall recipes. I started making this recipe about 5 years and originally found it on Allrecipes. Get ready, it's going to make your home smell heavenly! 1) Mix carrots and brown sugar in a medium bowl and let sit 1 hour. Stir in raisins. 2) Pre-heat oven to 350 and grease & flour (2) 10" pans**. 3) In a large bowl, beat eggs until light. Gradually add in the sugar, oil & vanilla. Stir in the pineapple. 4) In a separate bowl, combine the flour, baking soda, salt & cinnamon. Add to wet mixture until absorbed. Stir in the carrot/raisin mixture. 5) Pour into prepared pans & bake for 45-50 minutes or until cake tester indicates done. Cool for 10 minutes & remove from pan. Allow to cool before frosting. In a mixer or bowl, cream the cream cheese & butter until smooth. Add the vanilla and gradually add in the confectioners sugar. *I omit the walnuts inside of the cake and just use them to coat the sides. If you are a nut lover, you can add 1 cup to the cake and have 1 1/2 cups on had for decoration. **I made this cake using (3) 10" pans so I'd have more layers, if you do this, just reduce the cooking time. I think that Parsley makes the most adorable little carrot tops, so if your feeling adventurous, pipe on some carrots and throw on some parsley! So aside from sharing a recipe, I am supposed to share something that I'm working on. 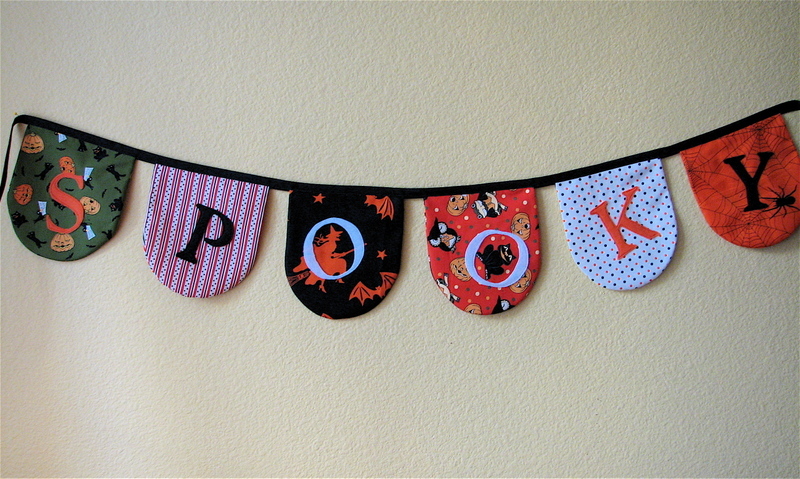 Unfortunately, all I've been working on are these Halloween Banners (which my blog readers recently read about). So to spice things up a little, I've decided to give one away (and did you notice, the banner features one of Holly's Fabrics?? : ) Just leave me a comment and tell me, what's your favorite thing about Fall? Mine? Hmm, the smell of onions & garlic saute-ing on the stove, crisp cool nights, The Great Pumpkin Charlie Brown, Apple Picking, Soups & Candy Corn. I'll pick a winner when I am back home from the wedding on Monday.